Home Article Cote de Pablo Was Once In A Relationship With Diego Serrano; Now Married To Diego Serrano? 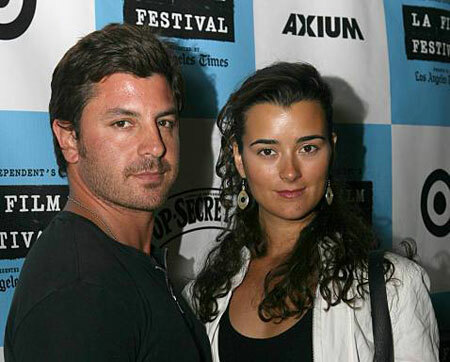 Cote de Pablo Was Once In A Relationship With Diego Serrano; Now Married To Diego Serrano? If you've watched the series NCIS, you probably are familiar with the beautiful actress who portrayed the character of Ziva David. 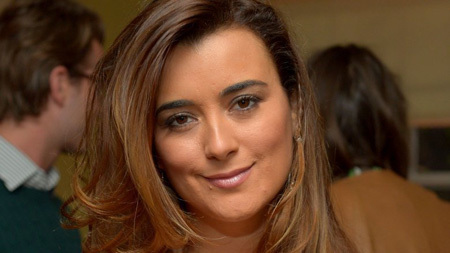 The beautiful Cote de Pablo has describer herself as an old soul and love to hang out with her mom. Pablo's marriage was something that was expected from a decade worth of relationship with boyfriend Diego Serrano but it didn't turn out to be what she expected. Her personal life has been a matter of interest for many of her fans. Who is she dating now? Has she been seeing someone lately? Her fans are eager to know about her love life so let's get into it! 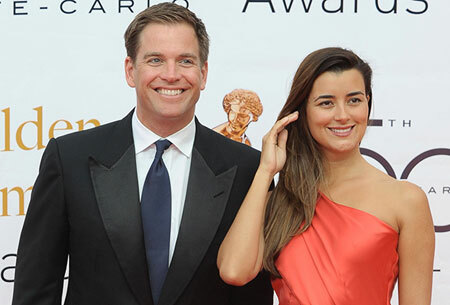 Who Is NCIS's Star Cote De Pablo Dating Currently? Cote de Pablo is too busy with her professional life rather than getting hurt by anyone. The 39-years-old actress is all secretive when it comes to her love life. There is no clue or information about her current relationships or dating life out to the public so we can assume she is single. The actress is not active in social media so it has been hard to track about her personal life so far. The actress has been low-key about her personal life these days. Pablo has appeared in numerous TV shows and movies and is mostly known for appearing in the NCIS as Ziva David. She left the show on the finale of the 13th season of the show in 2013. She has not been active in the industry since 2016 after the movie Prototype. It's not that she has been out of romanticism in her whole life as there is a guy she did love before but as for now, there has been no news or rumors about her dating life out to the public. Let us hope that she finds the love of her life soon enough. Breaking Up After A Decade Of Togetherness, Cote de Pablo's Relationship With Diego Serrano! Talking about her past affairs, the NCIS actress was in a long-term relationship with actor Diego Serrano. The former couple knew each other since 2000 and were often spotted together in numerous places shopping, roaming around the street. Rumors reported that they met while in college. The former couple had a fun loving relationship. She told that they are a nice mix despite being opposed to many things. Their relationship took a whole other turn in 2015 as they decided to part their ways. There has been no record of Pablo's relationship with anyone since then. She was born on 12 November 1979. Her birthplace is Santiago, Chile. Went to Carnegie Mellon University. Her birth name is Maria Jose de Pablo Fernandez. Made her debut as the host of Spanish talk show Control. Won an ALMA Award for the series NCIS. Worked as a waitress before acting. She did her own stunts on NCIS. Her parents are Maria Olga Fernandez and Francisco de Pablo. She has a sister named Andrea de Pablo and a brother Francisco de Pablo Jr. Stands at the height of 5 feet 7 inches and weighs about 64 kgs. Her body measurement is around 35-26-35 inches. Her net worth is estimated to be $6 million according to Celebrity Net Worth.